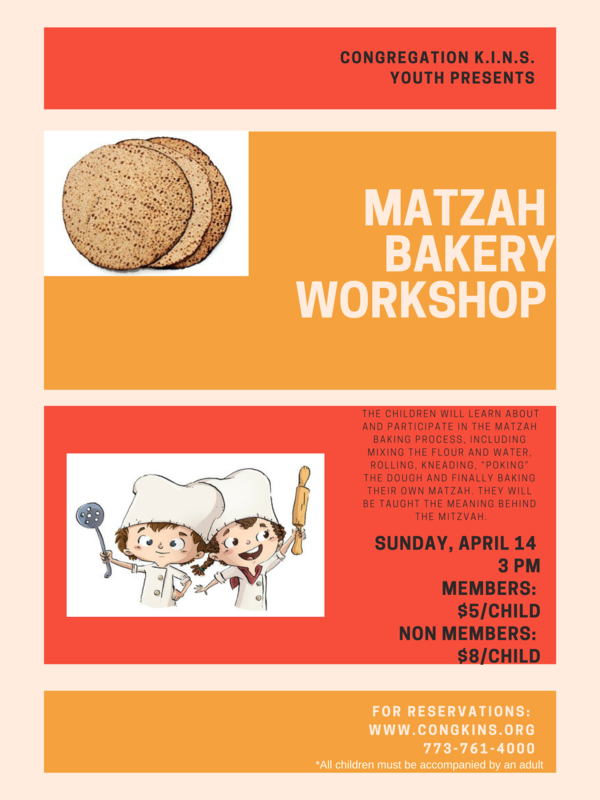 Shacharit: 6:25 & 7:15 a.m.
Mincha: 2:00 & 7:05 p.m.
Shacharit: 7:55 & 8:30 a.m.
To sign-up to host or be hosted for Pesach meals, please click here and complete the online form. This week's parsha continues to detail the laws of tzara'at, commonly translated as leprosy. 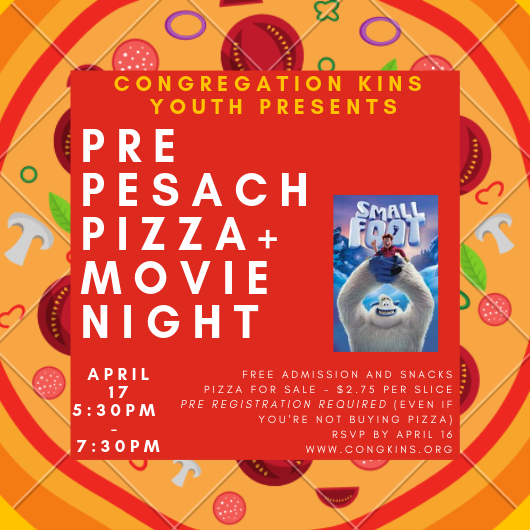 But this week is also Shabbat HaGadol, the Shabbat before Pesach. Interestingly, there is a strong connection between the tzara'at and the Pesach story. One of the signs Moshe was given to prove his authenticity was that his hand turned to tzara’at and was then restored. The Beit HaLevi to Parshat Shemot notes that the symbolism of Moshe’s hand turning into tzara’at was to show that the Jews in Egypt were suffering from a spiritual affliction. They didn’t only need redemption from the physical servitude. They required purification. Added the Shem MiShmuel (Parshat Bo 5675), that the Jews were so desensitized to their situation that they didn’t even realize how badly they were suffering. The purification process was a wake-up call to the Jews to reflect on their situation, much as it is for the person with tzara'at who must do teshuva and seek a better path forward. * to Yosef Shapiro who is recuperating at home. * to Dr. Jerry Silverman who is recuperating at Evanston Hospital. * to Mrs. Gerda Abramchick who is recuperating at Buckingham. * by Rachel and Dr. David Spindel in commemoration of the yahrtzeit of Rachel’s father Morris Buckman z”l. * to Lisa and Henry Goldberg and family on the loss of their father, grandfather and great grandfather David Jankelovitz z”l. Shiva is being observed through Sunday 4545 W. Touhy, Apt. 117. The family requests no visitors between 12-1:30 pm, 6-8 pm and after 9 pm. 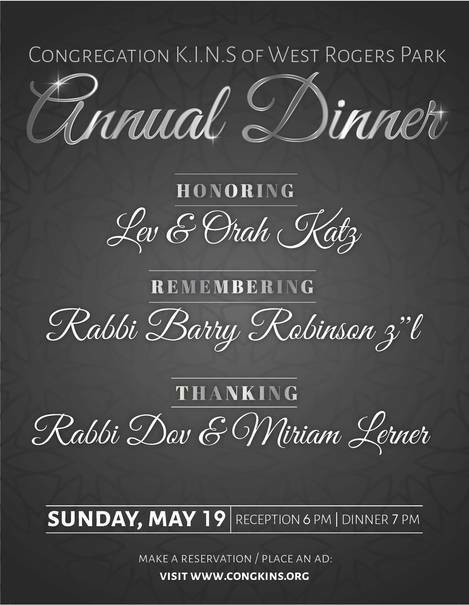 For more information contact the shul office.